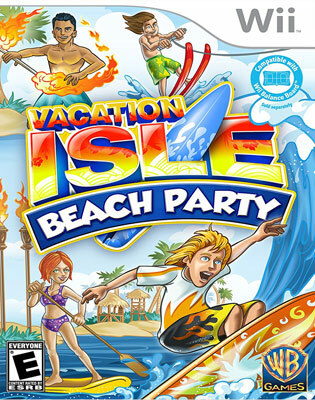 Grab your board – your Wii Balance Board – and get ready for the ultimate beach party! 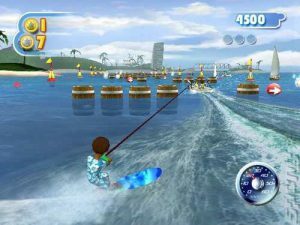 Eight unique vacation-style games: Slalom Skiing, Hula Dancing, Wake Boarding, Surfing, Stand Up Paddling, Ski Distance Jumping, Fire Dancing, and Water Stunt Park. 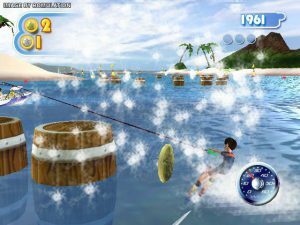 Wii Balance Board: Use your whole body to play or use the Wii remote instead. Four-Player Party: Challenge your friends for the best times/scores or have them join the fun in co-op play modes. Character Customization: Over 20 unique character profiles to choose from. Earn Sand Dollars: Used to unlock customizable features and hidden levels!